This is a painting of what actually I saw in my dream on the xmas eve 2011. 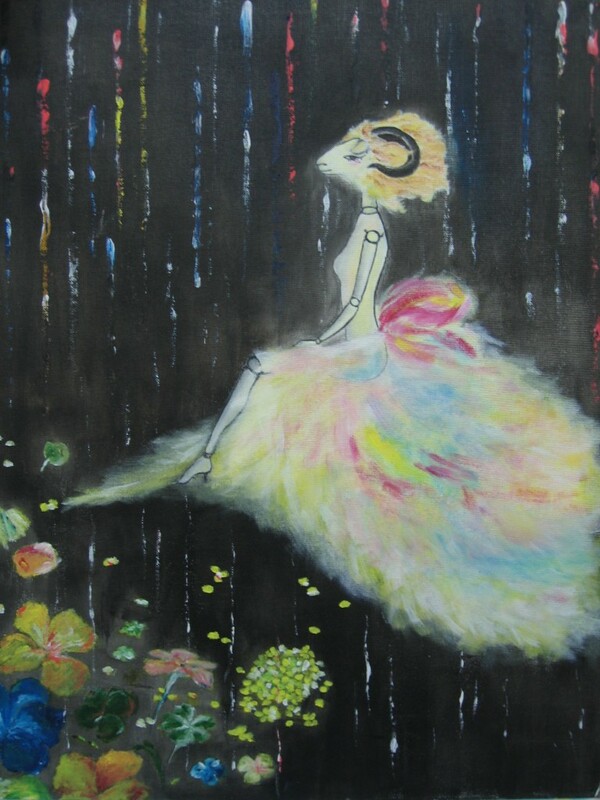 It was a snowy night, a wood-made feminine ram, which was gorgeous dressed up, was sitting by bunches of flowers. It was one of the most surreal dreams I had in recent years.